Formula Offroad is a family-run business with 23 years’ experience in manufacturing a broad range of steel and aluminium accessories for both private and commercial vehicles. We have the ability to handle anything from one off jobs to fleet and OEM manufacturing. Some of our clients include Commercial Fleet services, Local and interstate Energy Companies, Local and interstate Forestry departments and small business fleets. We have an extensive list of wholesale customers Australia wide who purchase our product on a regular basis to fulfil their customers’ needs where other manufactures cannot. Our small team of staff CAD design, bend, cut and fold the raw material using manual and automated machinery such as our CNC Mandrel bender, Plasma cutter and folding equipment and weld it together to form the end product. All of our steel and some aluminium products are finished in our spray booth with a quality two pac urethane finish. Our aluminium bars are sanded and polished using up to date machinery ensuring a quality mirror finish. Finally the product goes through our packing area where brackets and fasteners are added prior to the product being wrapped and prepared for either despatch or fitting in house. Contact u for more info. 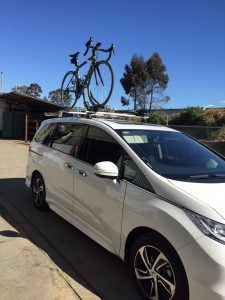 Yes, we sell, supply and install roof racks from major brands like Rhino Rola & Thule.